How long has it been since you were free of notifications on emails you haven’t read yet? Maybe it’s time you marked them all as read with Shift. It’s bad news bears. And it’s pretty detrimental to your productivity, regardless of the platform you’re using. So what if I was to propose to you the “inbox zero” method? What if I was also to tell you that by nipping it in the bud now, you’d be free of pesky red buttons and message counts? This crazy, unattainable sounding concept consists of clearing out your mailbox. You’ll be surprised at how free you feel once you reach “0” for the first time in a while. 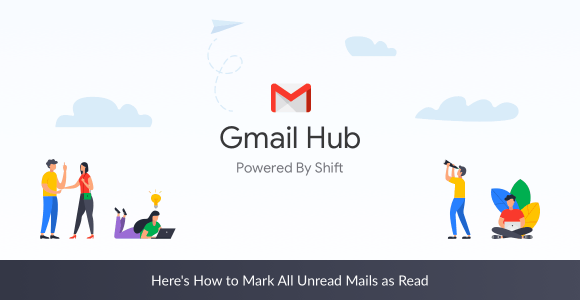 Although there are recommended tricks for achieving inbox zero practically everywhere, the bottom line is keeping your inbox in a perpetually empty state through archiving or deleting. That said, inbox zero also might not be the most practical approach. Not when you can have your emails right there in your inbox, but marked as read. This way, you don’t accidentally miss anything and still can get rid of those notification bubbles. Depending on just how many unread emails you’ve got lying around, this could take a bit of time.